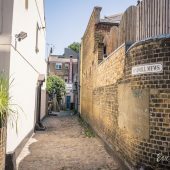 Wimpole Mews is a cobbled through road between Weymouth Street and New Cavendish Street in Westminster, directly opposite Devonshire Mews South, another original/ surviving Mews. 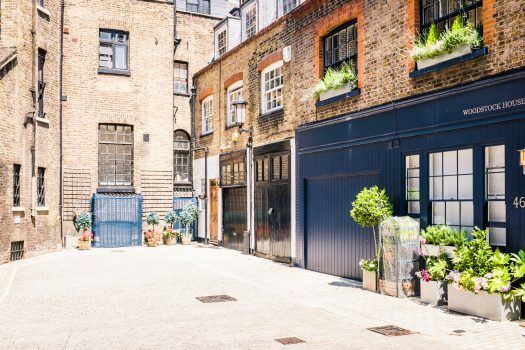 The Mews contains 18 properties and is used for residential purposes. 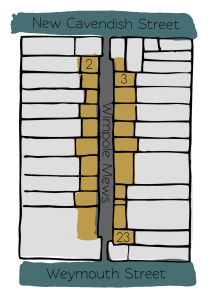 Between October 1940 and June 1941, a high explosive bomb is recorded falling onto Weymouth Street, not far from the Mews. 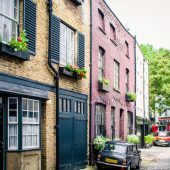 The area was noted as being fairly comfortable with good, ordinary household earnings when the London Poverty Maps were first published. 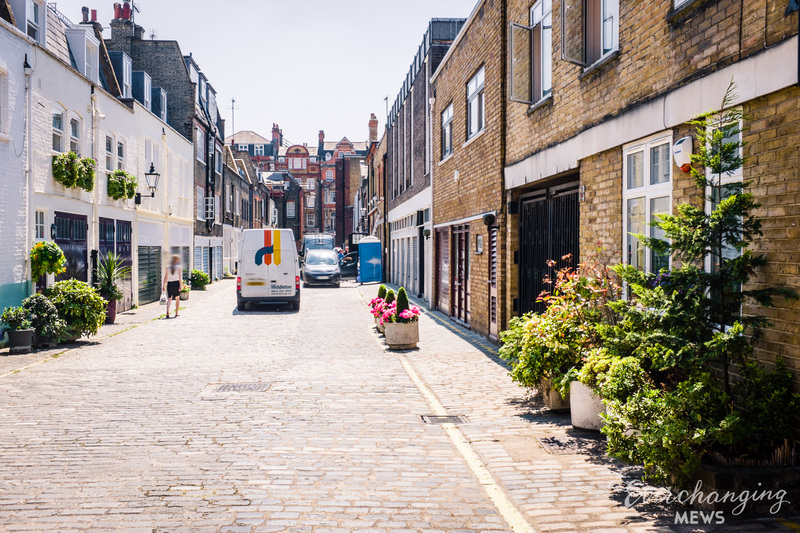 Wimpole Mews is situated to the north of the Harley Street Conservation Area in Westminster. 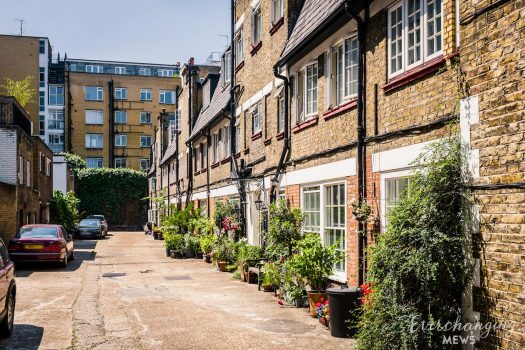 First designated in 1968, the area is now dominated by terraced houses of different periods and different levels of social status. It retains a substantial medical presence, whilst offices predominate to the eastern edges. 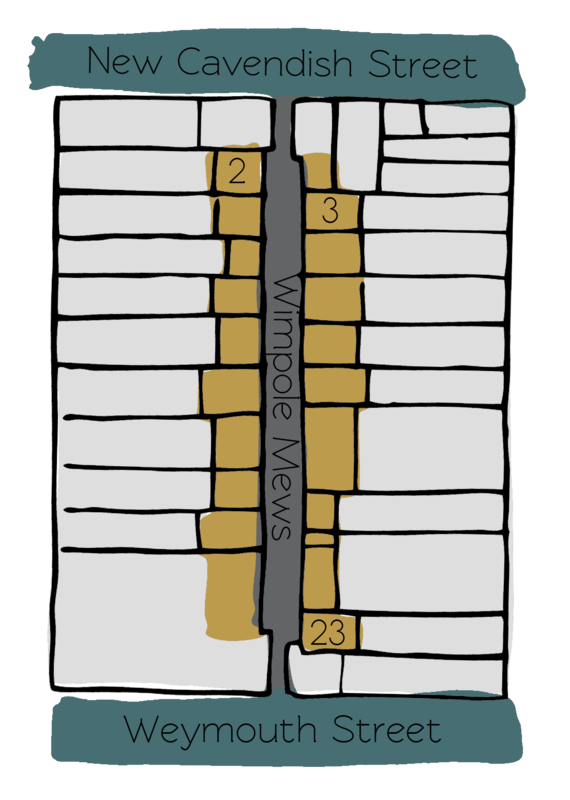 The properties within the Mews vary between two, three and four storeys with a mixture of plain and painted brickwork facades. 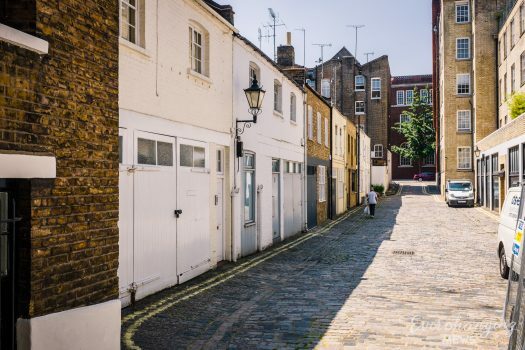 There are a variety of different roof styles used for the Mews and raised party walls, all surrounded by a cobbled road surface and partial flush pavements. 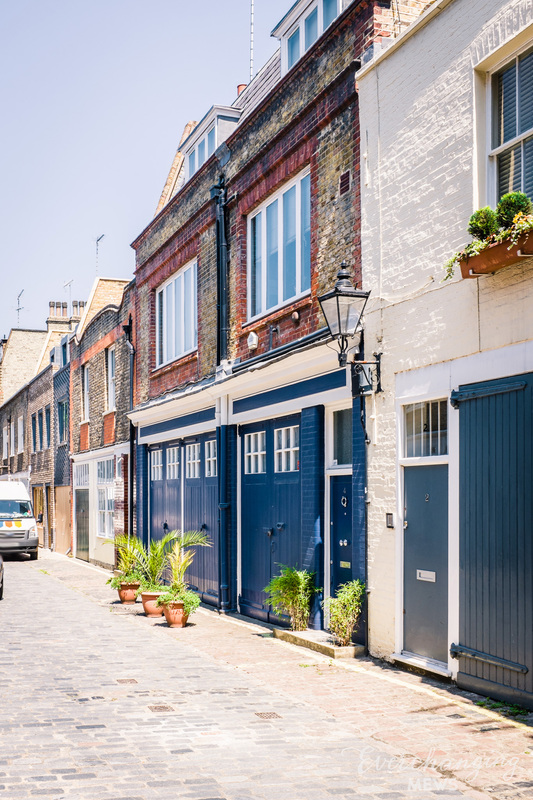 There have been many planning applications made before and since 2003, mainly roof extensions, external and internal alterations and changes to the fenestration. 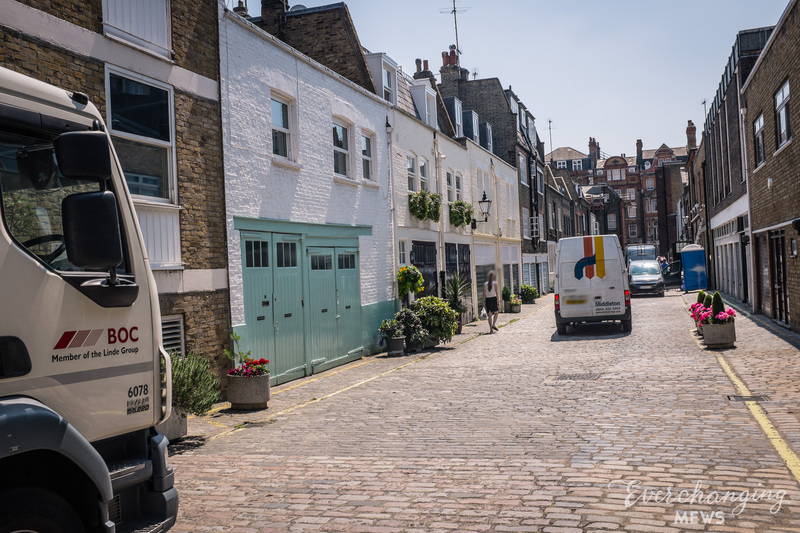 Conservation Area controls now apply to any new development in the Mews.